At Croydon and Ringwood Camera House we offer a full range of photographic printing services. We have the latest photo kiosks in store. You can print from memory cards, usb or your mobile phone. We can print on gloss, metallic, matte and artist flat matt papers. Need a little help? Don’t be afraid to ask! We are always happy to help you on the photo kiosks. We produce all our canvas prints, photo gifting, calendars and photo books at our Croydon store. Custom and time sensitive work welcomed and collection is available from the either store. 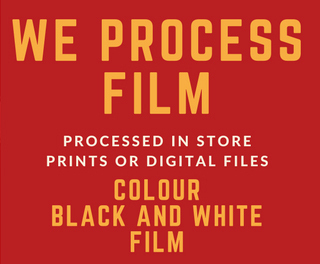 We offer film processing, photo restorations as well as a print to print and slide printing service. We can help with invitations, birth announcements and thank you cards. Single sided cards can be made on the kiosks and printed while you wait. We also transfer your video tapes or your old movie film to DVD. Please see our price list for all the information you need or contact our friendly staff in store.